Just $ .69 each - 4 x 6 Postcard INCLUDING 1st class postage. Just $ .39 each - 6.25 x 9 Postcard sent to every household in your selected area. If you use our web based work order system not only will you save money but you will be able to market to your customers automatically, by email, traditional post as well as manage your on-line reviews and reputation. 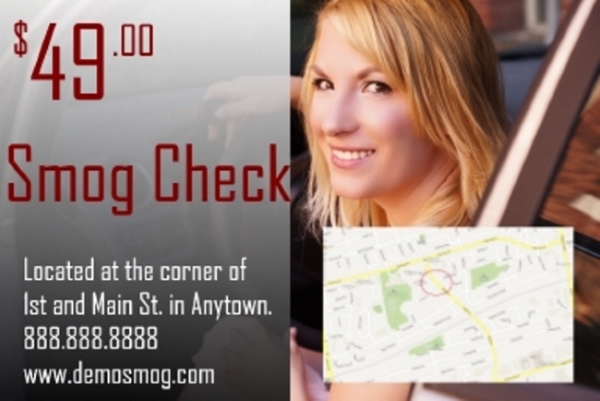 Smog Check Postcards are One of Most Effective Ways to Build Business. 40% of consumers try new businesses after receiving direct mail. The Direct Marketing Association states that on average, direct mail advertising gives a business a 13 to 1 return on investment. It costs on average 6 to 7 times more money to acquire a new customer than to retain business from an existing customer. Over 37% of households in California have more than one vehicle. By contacting your customer you can obtain that business. 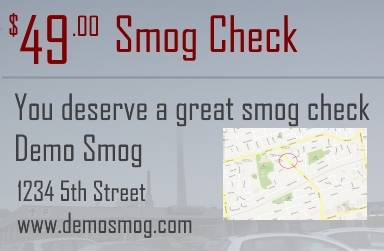 You run a smog shop, who has time or the money to design a postcard. At Smog Advantage™ you can simply select one of our smog check coupon postcards. If you have artwork, no problem just upload the file and you are on your way. Or...make it even easier, send postcards automatically. Every Door Direct Mail is a program provided by the U.S. Post Office that sends a postcard advertisement to every household in a selected geographic area. There is no need to purchase a mailing list and since every household receives a postcard it is a great way to attract new customers. It has a low per postcard charge, and is a great tool if you don't have a customer database. 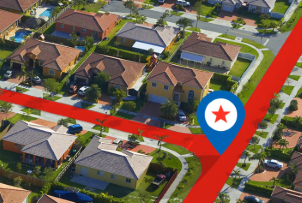 If you have a customer database you can directly target your existing customers and get a very effective direct mail program. The smog check industry is pretty specialized. While there are a lot of postcard samples for auto repair most of them look like your advertising an oil change or other auto maintenance. This is confusing to your customer, who may throw your card away. 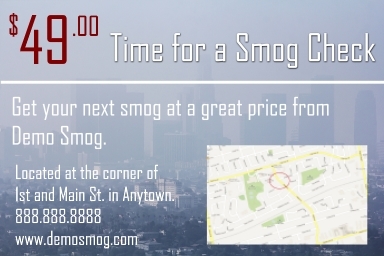 Smog Advantage™ has templates specifically created for the smog check industry and we are expanding them all the time. Dealing with a printer can be very frustrating, especially if you have to design your own art. Our templates are customizable. You can add your own text to convey the message you want to convey. All our postcards have areas to include one or more coupons. So you get a customized postcard with the specific offers you want, without ever having to leave your shop or deal with art work design. The EDDM program requires that you bring the postcards to your local post office. As we all know, that can take a lot of time. In the smog check business time spent away from the shop is money lost. Since the post office is not open after your business hours, many people find themselves in line at the post office on Saturday. If you don't want this inconvenience, Demand Advantage will deliver your postcards directly to the post office for a small fee. If you use our Smog Advantage™ work order software you can automatically send postcards out to your customers at regular intervals. Many of our customers send out a postcard every 22 months. 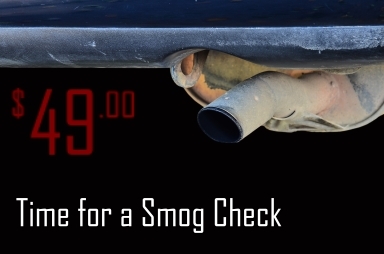 That is 2 months prior to when the vehicle will need to be registered with a smog check and about the same time they typically will receive their DMV notice. If you send a postcard then, you are contacting your customer right at the moment they will be looking for a smog check and this reduces the chance they will look elsewhere. Since the postcard is sent automatically you don't have to do anything an can spend your time doing more important things than figuring out how to create a mailing list and then sending a postcard.